On 25 January 2017, we organised a training day for our War Widows’ Stories volunteer interviewers at London’s YHA St Pauls. 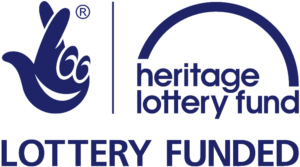 Thanks to the Heritage Lottery Fund and to the Oral History Society, our interviewers had the chance to learn about oral history and its roots, as well as becoming familiar with how to conduct good oral history interviews. Our oral history trainer, Sarah Lowry, was recommended to us by the Oral History Society, and we couldn’t have asked for anyone more knowledgable and in tune with our project. Sarah has a lot of experience in carrying out interviews that rely on people sharing painful memories, and one of the key points of our training day was to think through the ethical and emotional dimensions of our project and to understand what they mean for our interviewers and interviewees. The reason it’s important that war widows and their relatives are trained as oral history interviewers for the project is simple: we want War Widows’ Stories to last. Giving volunteers the skills and equipment needed to continue recording war widows’ stories means the project is much more likely to have a lifespan that surpasses any academic involvement or external funding and is a way to make sure it serves the needs of those most affected by it. Now that our volunteer interviewers are trained, the work can begin! Over the next couple of weeks, we will begin matching interviewers with interviewees, arranging interview dates and locations, and continue recruiting volunteers who would like to tell their stories. If you’re considering becoming a volunteer for War Widows’ Stories or would simply like to know more about what this involves, do get in touch with us via the “Talk to Us” section of the website. We’d love to hear from you!